Elda graduated from University of California Los Angeles (UCLA) with honors, majoring in Molecular Biology. 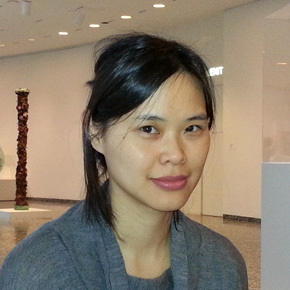 Her interest includes child development, psychology and language acquisition. Elda has two children, Vera Grace and Eva Faith. They are her inspiration in starting this program. She has done extensive personal research in child development and child psychology, as well as participated in child development workshops. She actively participated in a coop preschool in Los Angeles, California where her daughter attended. Having moved back to Albania after living in Los Angeles for 17 years, Elda wants to share her knowledge and experience in childhood development with the Albanian community. Elda is fluent in English, Albanian and Italian. David graduated from Temple University, Tyler School of Art (Philadelphia, PA) with a focus in ceramics, glass, sculpture and film. His last desk job was at the RAND Corporation in Santa Monica, where he helped maintain the tank at the think tank. At Tirana English School, David is finally putting his university degree to good use. David’s personal mission is to care for children who can’t sit still but have curiosities of a cat, to never stop learning and exploring. 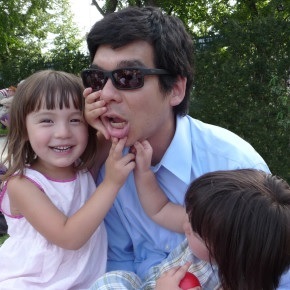 David is fluent in English and Mandarin Chinese. 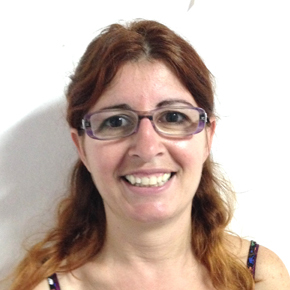 Edlira has been working in child care for over 8 years in the United Kingdom and Albania. She received her United Kingdom Teacher Assistant Certificate Level 2-3. Edlira believes children should have an opportunity to see the world, that education should help the children to have an open mind. It is her desire that all children would grow and mature to play a transformative role in whatever country and society they are in. Edlira is fluent in English, Albanian, Italian, and German. 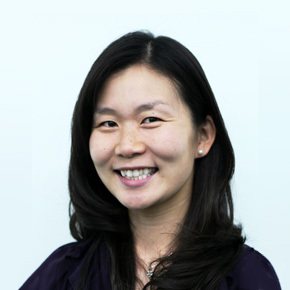 Carol Song has been teaching life, physical, ESL science, and AVID (college prep elective) at Virgil Middle School, located in Los Angeles, California for the past ten years. She functioned as the chair and lead teacher for the science department at Virgil from 2010-2011, observing and coaching other science teachers in the areas of curriculum design and classroom management. She has provided professional development for the staff at Virgil on topics ranging from incorporating technology in the classroom to effective classroom management and instructional strategies. Carol received her B.S. degree in Molecular, Cell, Developmental Biology from UCLA and her M.Ed degree in science education also from UCLA. 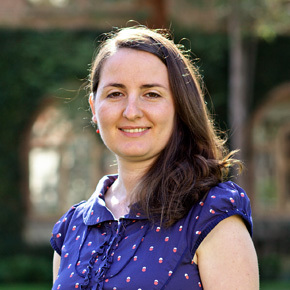 She has mentored six student teachers from both UCLA’s Teacher Education Program as well as its IMPACT Urban Teacher Residency program, from 2008-2011. She has also been an adjunct instructor at UCLA for their CalTeach program, an initiative which plans to place 1000 new math and science teachers into California classrooms each year, teaching their middle school science education seminar course for four quarters from 2010-2012. In 2015, Carol earned her national boards certification in early adolescence science. Carol took a leave of absence from her school district in Los Angeles for the 2015-2016 academic year to join TES for training purposes. She is involved in staff development, including providing professional development for pertinent issues and observing teachers to discuss effective teaching practices. She is also helping to establish systems within the school to facilitate overall efficiency and general organization. Jeanette Kaplan has spent nearly two decades as a teacher and educator in the Philadelphia, Pennsylvania region. Her passions include creating rich reading and writing experiences using quality literature and designing multidisciplinary literary projects that incorporate art, social studies, and science. After receiving her bachelor’s degree in English Literature from Swarthmore College in 1995, Jeanette Kaplan went on to earn two master’s degrees at the University of Pennsylvania, one in elementary education, the other in reading/writing/literacy. 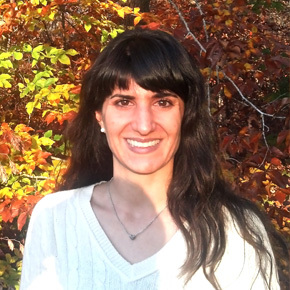 In addition to being a certified teacher, Jeanette Kaplan is a certified reading specialist. Over the course of her career, she has worked with diverse groups of students, including urban and suburban populations as well as speakers of other languages. For the past eleven years, she has taught fourth grade at Wallingford Elementary School, a school that has received both state and national Blue Ribbon awards for excellence. Prior to teaching, Jeanette Kaplan served for three years as executive director of a community arts organization, bringing arts education opportunities to low-income youth and working with the agency on board and organizational development. Rachel Haserjian has been teaching mathematics for over 5 years at West Adams Preparatory High School, located in Los Angeles, California. In addition to teaching many levels of mathematics classes, she advises two student extra curricular organizations, provides tutoring before and after school, and served as mathematics department chair. Rachel believes that students succeed in learning environments that are full of genuine care for the holistic child. She earned her Bachelors in Mathematics in 2002, and a Masters in Education and teaching credential in 2008, both from University of California Los Angeles (UCLA). In 2011-2012, Rachel was named a Los Angeles County Teacher of the Year. Rachel is one of four children born and raised in Los Angeles County. In her spare time, Rachel enjoys running, playing piano and guitar, working with her church community, and traveling. 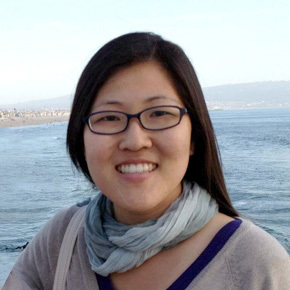 Jane Han has been teaching various levels of mathematics in California for over four years. She has taught Algebra, Geometry, Pre-Calculus and Calculus at schools in San Francisco and Los Angeles, California and she is currently teaching at Bright Star Secondary Charter Academy in Los Angeles. In addition to teaching math courses, she provides free tutoring for her students and has sponsored extra curricular clubs such as a Bible Club at her school. Jane believes in a combination of rigorous academic expectations and strong, caring relationships between teacher and students. She also believes in a constructivist model of education, in which teachers provide opportunities for students to learn by making their own discoveries and connections between ideas. Jane earned a B.A. in History-Sociology and Mathematics at Columbia University in New York City and a M.A. in Mathematics Education at Stanford University. In her spare time, she enjoys outdoor activities, music, and involvement with the Christian community.